How Far is Hawelia Valenova Park? Classy elevation, quality construction and thoughtful layout…these are but a few of the hallmarks of the architecture and style that sets Hawelia Valenova Park apart. The 2/3 BHK apartments exude a rare aesthetic charm and elegance. 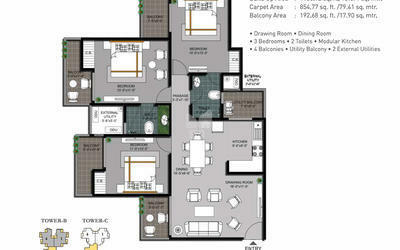 These apartments are constructed to pamper all its owners with comfortable and premium lifestyle. Loaded with contemporary amenities, natural light and greenery, these spaces are coveted even by the most finicky home buyer. What makes it more interesting is Hawelia Valenova Park' location. Strategically situated in the heart of Greater Noida West (popularly known as Noida Extension),the project is surrounded not only by lush greenery but also with conveniences such as shopping complexes, malls, hotels, hospitals, schools, metro station, fuel stations and much more. 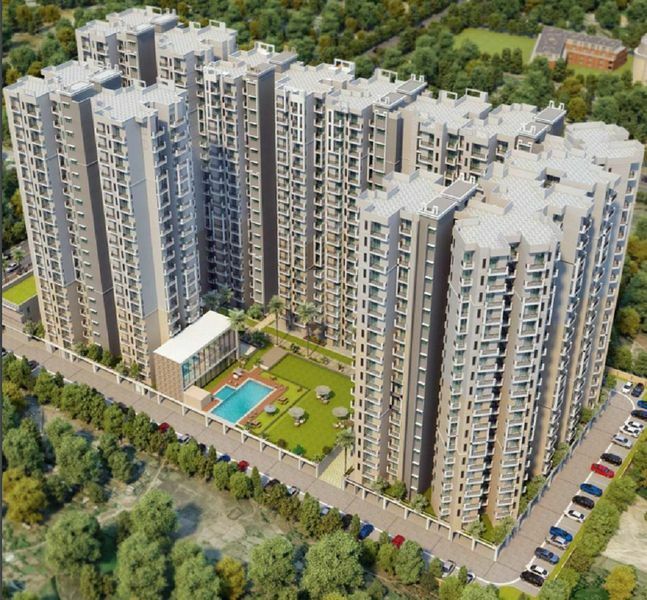 Greater Noida West offers excellent connectivity to delhi and NCR. With fully developed socio-economic infrastructure in the neighbourhood,it is an excellent choice for an ultramodern lifestyle. HAWELIA, a leading real estate company, founded in 1988 under the leadership of its founder and chairman Mr. Rattan Hawelia, distinguishes itself as a leader in the provision of exceptionally high quality real estate, recognized for contemporary design in the very best locations of Delhi NCR and acknowledged as an organization with a proven track record in developing residential housing for its ever-increasing satisfied clientele. Right from the beginning, the Group is committed to provide quality and elegant homes to its customers, so that they can enjoy an elevated lifestyle. The business ethics engrafted with trust, quality and commitment has carved the group's success in this highly competitive space. Hawelia Group has been at the forefront of the Delhi NCR's luxury real estate market for more than two decades - bringing luxury living experiences to the residents. Making its mark at the highest end of stylish living, Hawelia Group has cemented its place as the leading Trusted Real Estate Developer in the region, offering iconic designs and the upmost quality. Investing with Hawelia Group means more than just securing financial collateral. It is about creating a trusted partnership that will bring you continued prosperity. Unlike many developers, our relationship goes beyond the handover of a set of keys. Our clients remain the cornerstone of everything we strive for, from a project's foundation to its years of success. We aim to become a regionally recognized, premium brand name in real estate, outperforming our competitors not just marginally but exponentially, by adapting to the needs of today's customer. To exceed our customer expectations rather than just to fulfill their needs and requirements. To master in our craft and to build lifestyle from the ground up by creating dynamic places to live, work or relax. We strive for excellence in all we do. Our performance and practices throughout our operations is to exceed our customers' expectations. Excellence defines our people and how we conduct our business. An uncompromising approach in designing, execution and servicing is the way we will approach our business and constant improvement through new learning and development flows from the top management. Our personal and professional conduct has to be of the highest ethical standards and should become a point of distinction for us. An unwavering commitment to our customers and other associates ensures that we deliver more than what we have promised. We find better solutions, we think outside the box to create our landmark Real-Estate developments by seeking new state-of-the-art ideas. Respect all Societies - their ideas, their culture, their views and their knowledge. Hawelia Group is committed to social responsibility including economic development of the community, wellbeing of the workers, labourers, employees' and their families. We work for the welfare of all.